65-year-old Michael Cohen of Bass River, NJ, told police that he was robbed at gunpoint on Monday of $150. He said it happened at approximately 11:25 a.m. on May 2nd on Route 9 and Ash Road in Bass River Township, Burlington County. He described his attacker as a black male in his mid/late 30's with an earring in his right ear, a nose ring, bald head, and goatee. The man also spoke with an English or British accent. 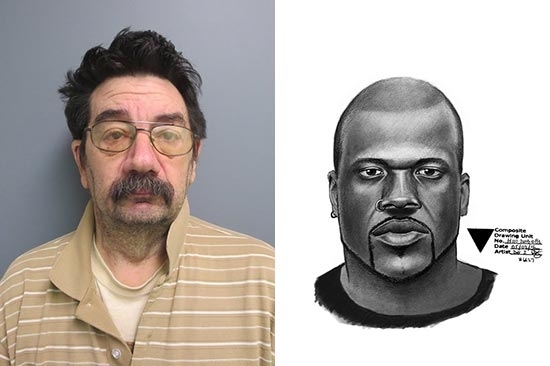 A composite sketch drawn up by police artists looks conspicuously like NBA legend Shaquille O'Neill. The getaway car was supposedly a Hyundai Santa Fe with tinted windows, damage to the driver's side rear bumper, and a light-colored license plate. It was driven by a 'white guy.' New Jersey State Police, taking all victims seriously, began to investigate and quickly determined that Cohen had made it all up. He has been charged with filing a false police report. He was released pending a court date. Protestors rallied in Center City this afternoon against a proposed sugary drink tax in Philadelphia. Those attending the rally included union workers, drink companies, store owners as well as consumers who could see prices double on soft drinks, juices, energy drinks, etc. Delivery truck drivers from Coca-Cola and Canada Dry also circled City Hall blowing their horns and blocking traffic. The 3-cent/ounce tax is supposed to fund pre-k programs in the city. Philadelphia City Council will vote in June on the measure. Council members Janie Blackwell, Maria Quinones Sanchez, and Al Taubenberger pledged that they would vote no on the new tax. Mayor Kenney will need nine of the remaining 14 council members to vote yes. No one has come out in support of the tax yet. A manhunt was underway this afternoon in Barnegat Township, Ocean County, NJ. Authorities were looking for Arthur Buckle, who escaped from minimum security lockup at Bayside State Prison in Hammonton on Tuesday. Police found a 2015 Chevy Silverado stolen from Hammonton left at a CVS on West Bay Avenue around 10:17 a.m. They believe that Buckle was the driver. 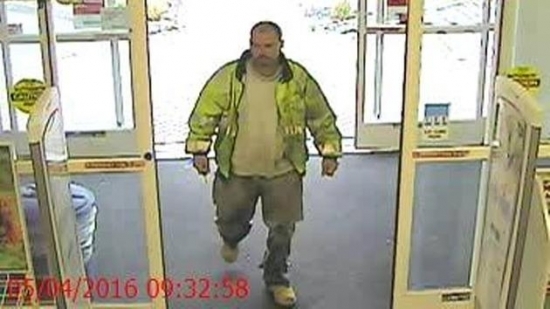 See a surveillance photo of Buckle entering the CVS below. Schools in Barnegat and Stafford Township were put on lockdown as authorities searched the woods and neighborhoods with guns drawn and dogs alongside. Residents are asked to keep their cars and homes locked and to stay inside. Weather has made the search more complicated. Schools will be open on Thursday with added police presence. Anyone with information should contact police. Cloudy, temperatures in the low 50's this evening in Center City.